For some time now, the subject of exploring the outside world has been a constant for me, and this can be seen—sometimes discreetly, sometimes more directly—in my current works such as Brother & Sister – The Final Countdown. My works describe societal phenomena that I perceive as “disturbed.” They show contemporary themes, issues and events, and they reflect the influence of media, politics and history on the individual. I aim to present critical conditions through exaggeration, projecting my overstated perception onto people or objects via the image and the title. This may be subtle or direct. At some point I began defining my work as political satirical Pop Art. 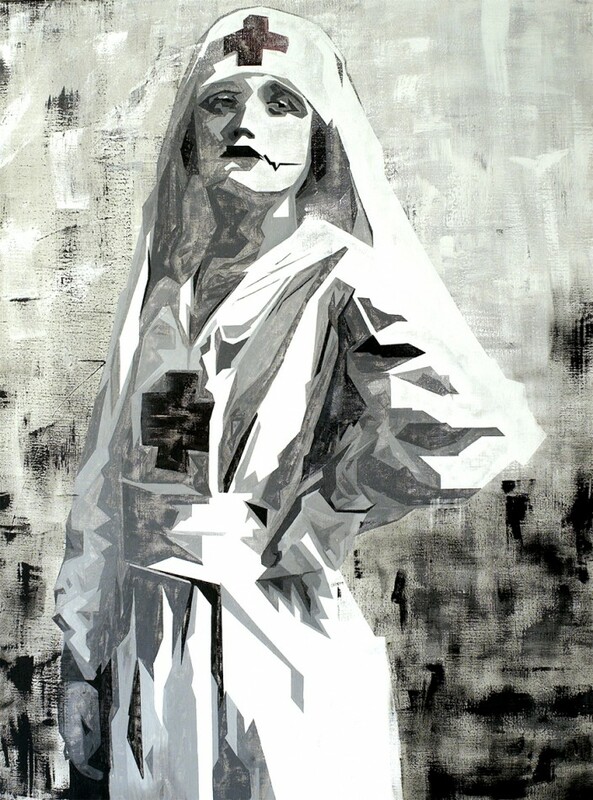 The Nazi-Bride is one of my early works from 2008.